Losing a loved one can take a hard toll on a family. It’s never easy to inter them or scatter their ashes knowing there may come a time when we can’t go back to the place we left them. Thankfully, modern technology has created a solution. Within the past fifteen years, specialized laboratories have developed a method to create memorial diamonds from ashes made of cremated human remains. It has become an extremely popular way to preserve their memory and create a permanent bond between you and your lost loved one. Memorial diamond can be mounted on a piece of jewellery so that you can wear it forever. Many people are sceptical of memorial diamonds, however. They wonder if the diamond is real and if it holds to the same standards as a natural diamond. The truth is that memorial diamonds are in every way just as real and authentic as a diamond mined from the earth. In fact, every memorial diamond is authenticated by several internationally recognized institutes of gemology including the Gemological Institute of America and the International Gemological Institute. Natural diamonds are created by carbon enduring thousands of years of extreme pressure and temperature. Modern technology has sped up this process to less than six months. Special laboratories can do this because both natural diamonds and synthetic diamonds share the same basic chemical element- carbon. Carbon is foundational both in nature and in human remains, which means that the carbon extracted from the ashes can be created into a diamond. 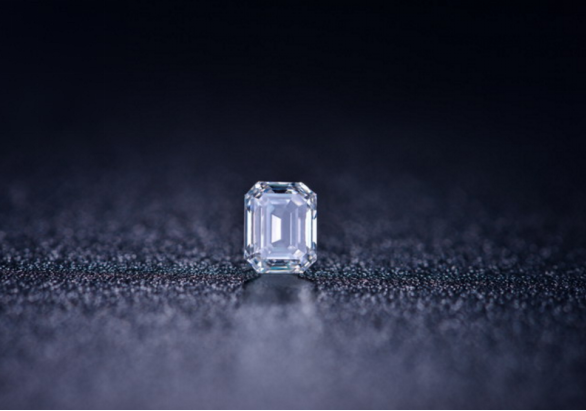 The result is that a memorial diamond has the same characteristics as a natural diamond and are nearly identical. To understand the similarities between a synthetic and natural diamond, it is important to know what the characteristics are that define a fine diamond. These characteristics are determined by what the jewelry industry calls the 4Cs: cut, color, clarity, and carat. Of the four characteristics of a memorial diamond, the cut is the most important because it has the greatest influence on how it sparkles. Even if the other characteristics are what they should be, the cut can still make it appear dull. With a higher-grade cut, the more light performance it has. The goal is to cut a memorial diamond so that its light will emit from the top of the diamond and make it sparkle more. If it is cut too shallow or too deep, the light will leak out either through the sides or bottom, which greatly reduces its brilliance. The grade of the cut will determine the cost of the memorial diamond. The higher the grade, the higher the cost. Look for a grade that fits your budget. You can choose a grade anywhere from poor/fair to premium/signature. Poor/Fair means that the light performance is dull and glassy, and premium/signature means the diamond reflects the lightest and has the highest-grade polish. The human eye tends to notice a memorial diamond’s sparkle first and its color second, which makes color a very important characteristic. Just as a memorial diamond’s cut increases its price, so does its color grade. 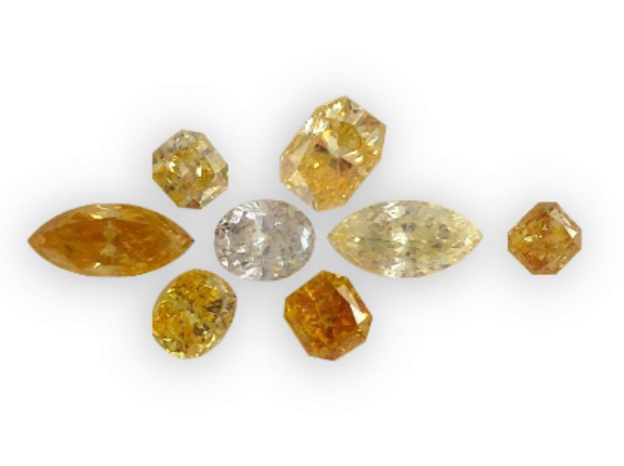 The grade is based on the alphabet starting from the letter Z and working back to the letter D. Most diamonds fall in the middle range of J to I, the point at which the natural pale yellow color begins to disappear. At the H-G point, the natural color of the diamond is nearly undetectable to the human eye without professional magnification, and at the F-D point, the color difference is considered completely colorless. It is these colorless memorial diamonds that command the highest prices because of their complexity of creation. The color range of the diamond varies from D (colorless) to Z (light color). Memorial diamonds are naturally yellow or amber in color due to the nitrogen that is commonly found in human ashes. The color of diamonds from ashes can be synthetically altered to be green, red, blue, or colorless like a natural diamond. These colors follow a similar grade scale, and changing the color from its natural yellow or amber to anything else will increase its price and level of uniqueness due to the time and resources involved in the process to turn ashes into diamonds. Clarity refers to a diamond’s natural imperfections, or inclusions. Both natural and memorial diamonds might have some tiny imperfections that are not detectable by the naked eye. They will not affect a diamond’s beauty, but the memorial diamonds with the fewest imperfections are considered the highest quality. A memorial diamond’s clarity can fall into a range of grades. Those with a grade of 12-13 are considered to have the most imperfections while those with a FL (short for flawless) grade is the best. The average budget can usually afford a diamond in the SI2 or SI1 range, which lays within the lower one-third of the grade scale. It is these diamonds whose imperfections cannot be detected by the human eye alone. The carat of a diamond is often mistakenly thought of as its size. The truth is that it is describing its weight. It also becomes more confusing because the cut of the diamond will impact how that weight will physically appear. For example, a smaller carat diamond will make it appear larger simply by the grade of its cut. A diamond’s carat weight depends on two features- its top diameter and its cut grade. 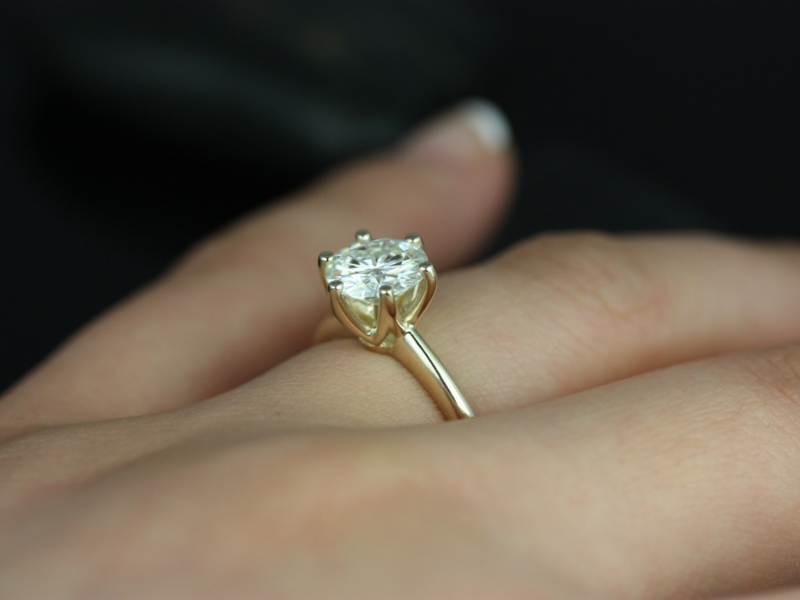 The top diameter is measured in millimeters and determines how it will look once it is set into a ring. The cut grade will determine the diamond’s appearance. The higher the cut grade, the more light is reflected out of the top of the diamond, making it appear larger in its setting. So, a small carat with a high cut grade will make the diamond look larger, and, conversely, a larger carat diamond with a low-cut grade will make the diamond appear smaller. Since natural diamonds and memorial diamonds are nearly identical in chemical makeup, they both are subjected to the same grade scales. This is important to know for when you are ready to make your own memorial diamonds from ashes. Familiarize yourself with the four characteristics of a diamond and decide what will work in your personal budget so that you can preserve your loved one in the most special way possible. A typical emerald cut memorial diamond is an elegant heirloom for generations to memorize your true love among family members. Creating a memorial diamond from your loved one’s ashes is an everlasting keepsake your family will forever treasure. It is an extraordinary way to preserve their memory so you never have to say goodbye. You can carry them with you everywhere you go in extra stunning brilliance simply because of the care and time you took to consider your diamond’s cut, color, clarity, and carat weight. What’s more, customize your memorial diamonds is more and more convenient in UK, US, Canada, German, and Australia. Take UK as an example, the branch office is in London to serve the clients from the whole country. A memorial diamond is a beautiful way to always remember your loved one and continue the forever, permanent bond you always shared.